Date of Birth: 23rd June, 1972, S/0 R. Vallabadoss RAPHAEL and Rosally NTONYSAMY. Doctorate in Philosophy: Ph.D in Philosophy, University of Madras (2007-2012) for the thesis titled "Mayai in Tirumandiram: An Ecological Perspective," supervised by Dr.V.S.George Joseph. He has been an Internal and External Examiner for three Doctoral (PhD) theses on "Contemporary Advaita," "Buddhist Ethics in Siksasamuccaya," "Paramamukyavrtti of Madhva Vedanta." 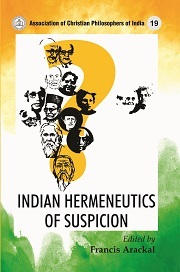 He has been the Consultant in Philosophy, CBCI-Chair, SOSW, G-Block, Academic Complex, IGNOU (Indira Gandhi University), Maidangarhi, New Delhi – 110 068, from June 2010 to June 2011, developing the curriculum for MA philosophy. Edited 2 issues of Philosophical Journal: “Philosophical Theology: Tamil Perspectives,” Satya Nilayam: Chennai Journal of Intercultural Philosophy, No.23. (March, 2014); “Philosophizing India: Tasks and Prospects,” Satya Nilayam: Chennai Journal of Intercultural Philosophy, No.29. (March, 2016), 1-114. Member, Editorial Advisory Board, Lokayata: Journal of Positive Philosophy, Vol.II, No.01 (March 2012), 4-17. ISSN 2249-8389. One day symposium on “Inter-Culturality and Philosophy Today,” (Kotagiri: St. Joseph’s Capuchin Philosophical College, 6 June, 2007). Three-day National Seminar in collaboration with CICT (Central Institute of Classical Tamil, under Union Ministry of Human Resource, New Delhi) on “Philosophical Insights in Classical Tamil Tradition,” (Kotagiri: St. Joseph’s Capuchin Philosophical College, 25-27 March, 2009). One day symposium on “Nilgiri Tribal World-View: A Philosophical Appraisal,” (Kotagiri: St. Joseph’s Capuchin Philosophical College, 21 July, 2009). Four-day Annual Research Seminar of Association of Christian Philosophers of India, Symposium on “Violence and Its Victims: A Challenge to Philosophizing in Indian Context,” (Dindigul: Anugraha Capuchin Animation Center, 19-22 Oct., 2009). One day ICPR Periodical Lecture on “Saiva Siddhanta,” (Kotagiri: St. Joseph’s Capuchin Philosophical College, February, 2013). One day ICPR Periodical Lecture on “Gandhian Philosophy: Its relevance today,” (Eluru: Vijnananilayam, February, 2015). One day ICPR Periodical Lecture on “Indian Epistemology,” (Kotagiri: St. Joseph’s Capuchin Philosophical College, December, 2015). Two days ICPR Symposium on “Philosophizing India: Prospects and Challenges,” (Kotagiri: St. Joseph’s Capuchin Philosophical College, March, 2016). “Rise of Hindutva Movement: A Challenge to the Church in India.” Vidyankur: Journal of Philosophical and Theological Reflection. Vol. 1. Mar 1999. Jnana-Deepa Vidyapeeth, Pune. 6-20. “Anekantavada of Jainism: A Philosophical Orientation to Pluralism.” Pluralism of Pluralism. ed. Johnson Puthenpurckal. Bangalore: Asian Tradition Corporation, 2006. 89-102. “‘God-Talk’ of South Indian Siddha Tradition.” Aivu Kovai. Madurai: Madurai Kamaraj University, 2006. 115-118. “The Religion of the Siddhas in South Indian.” Romancing the Sacred? 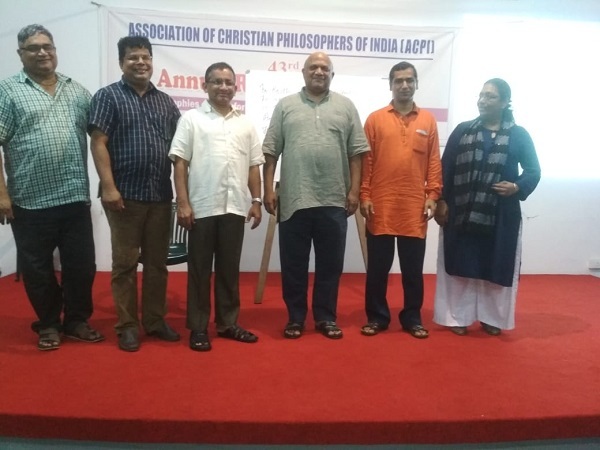 :Towards an Indian Christian Philosophy of Religion. ed. George Karuvelil. Bangalore: Asian Trading Corporation, 2007. 355-372. “Tamil Siddha Tradition: A Radical Socio-Religious Protest Movement,” in Satya Nilayam: Chennai Journal of Intercultural Philosophy, No. 13, Feb, 2008, 1-11. “Eco-Justice: Insights from Tirumandiram,” Samaya Illakkiyangalil Samuga Prachannaigalum Samuga Nalinakkamum (Social Problems and Social Integration), A. Nirmala, Et.al. Madurai: Interreligious Scholars Forum, 2008. 212-218. “Cultural Monism: Its Challenges and Our Response,” in Culture as Gift and Task. Ed. Keith D’Souza. Bangalore: Asian Trading Corporation, 2008. 323-333. “Spiritual Outlook of Nilgiri Tribes,” in Enigma of Tribal Life and Culture, ed. Vincent Aind. Bangalore: Asian Trading Corporation, 2009. 269-290. “Combating Global Suicide-Bombers: Globalization and Eco-Crisis,” in Social Philosophy for Realization of Globalization, Multiculturalism and International Order, ed. Sam Christopher. Kuppam: Dravidian University, 2009. 195-204. “Towards Emancipation of the Oppressed: Iyothee Thoss and Tamil Buddhist Movement,” Jnanodaya Journal of Philosophy. (June 2010), 43-53. “Vision of Organic Whole: Process Thought and Siddha Cult,” Tattva – Journal of Philosophy, Vol. 2. No. 2. July-December 2010, 45-53. “Deconstructing Purushasukta: A Subaltern Perspective,” Satya Nilayam Chennai Journal of Intercultural Philosophy, Vol. 19 (March 2011), 1-12, ISSN: 0972-5016. "Tradition-Innovation Dynamics in Hinduism." in Tradtion and Innovation: Philosophy of Rootedness and Openness. Ed. Saju Chackalackal. Bangalore: ATC, 2011. 307-328. “Sharing the person of Jesus,” Vidyadeep Journal – A Theological Biannual, Vol.1. No. 2 (December 2011), 103-115. “Intertwined Human Mind in Nature: A Rendering from Ancient Tamil Tradition,” in Lokayata: Journal of Positive Philosophy, Vol.II, No.01 (March 2012), 4-17. “From cultural fragmentation to innovation : Panikkar's cross-cultural contribution.” in Raimon Panikkar - Being Beyond Borders: A Commemorative Volume, ed. by Johnson J. Puthenpurackal. Bangalore: Asian Trading Corporation, 2012. 475-496. “Philosophizing Authentic Existence in Context: Contribution of Johnson J. Puthenpurackal.” In Authentic Existence: A Philosophical Probe. Festschrift in honour of Dr. Johnson J. Puthenpurackal. Ed. by George Panthanmackel. Bangalore: ATC ; Eluru: ACPI, 2012. 520-540. “Vedamod-agamam: Cultural Hermeneutic in the Tamil Saiva Tradition,” Divyadaan: Journal of Philosophy & Education, Vol.24.No.2 (2013), 239-258. “Church as Poor: Towards an Inclusive Community,” in Lucet: Journal of Rachol Seminary, Goa (January 2014), 1-5. “A Developmental Agenda for India; Contemporary Visionaries on the Emerging Economy,” in The Dynamics of Development: Negations and Negotiations, ed. Keith D’Souza (Bangalore: ATC, 2014), 106-125. “The Symbolic in Philosophical Discourses of India,” in The Symbolic World: Construction and Deconstruction, ed. Sekar Sebastin (Bangalore: ATC, 2015), 98-113. “Dharmārtha Mārga: Path of Modern Gurus,” in Journal of Dharma, 40/3 (2015), 387-403. “Enhancing the Home of India through Interreligious Relations: Prof.Pushparajan’s Contribution as a Gandhian.” In Enhancing Our Home: Re-Reading and Re-Living Gandhian Thought. Ed. Johnson J. Puthenpurackal. Bangalore: Asian Trading Corporation, 2016. 598-617. “Civilization and Identity: Dynamics and Role of Grand and Little Narratives.” In Dimensions of Indian Civilization. Ed. Gautam Kumar Bera & G.Lazar. Delhi: B.R.Publishing Corporation, 2016. 95-108. “Body, Suffering, Death and Afterlife.” In Philosophizing the Body: Physical, Social, Psychosomatic & Spiritual Dimensions. Ed. Nishant A. Irudayadason. New Delhi: Christian World Imprints, 2016. 203-214. “Tribal ‘Self’ and the ‘Other’: Imaging Identities of Nilgiri Tribes.” In Tribes of Contemporary India: Concepts and Contexts. Ed. G. Lazar & K. Jose. New Delhi: Omsons Publications, 2017. 197-218. “Presencing of Francis – Silent, Vibrant and Ever Flowing,” in Journey of ‘Re-Presencing’ St. Francis of Assisi: A Silent Stream (Kottayam: Jeevan Books, 2017), 1-10. “Hermeneutics of Re-Presenting: A Brief Study on Writings of/on Francis,” in Journey of ‘Re-Presencing’ St. Francis of Assisi: A Silent Stream (Kottayam: Jeevan Books, 2017), 58-76. “Towards Inter-Faith Openness: Insights from St. Francis and Gandhi,” in Journey of ‘Re-Presencing’ St. Francis of Assisi: A Silent Stream (Kottayam: Jeevan Books, 2017), 269-284. “Deconstructing the Orientalist Imaging of ‘Spiritual’ India,” in Becoming a Nation: Processes and Prospects, ed., Dolreich Pereira (New Delhi: Christian World Imprints, 2017), 109-120. “We’ and ‘They’: Caste Politics of Identity and Difference,” in Caste System in Contemporary India: Issues and Implications, Ed., G.Lazar & K.Jose (New Delhi: Mittal Publication, 2018), 253-270. 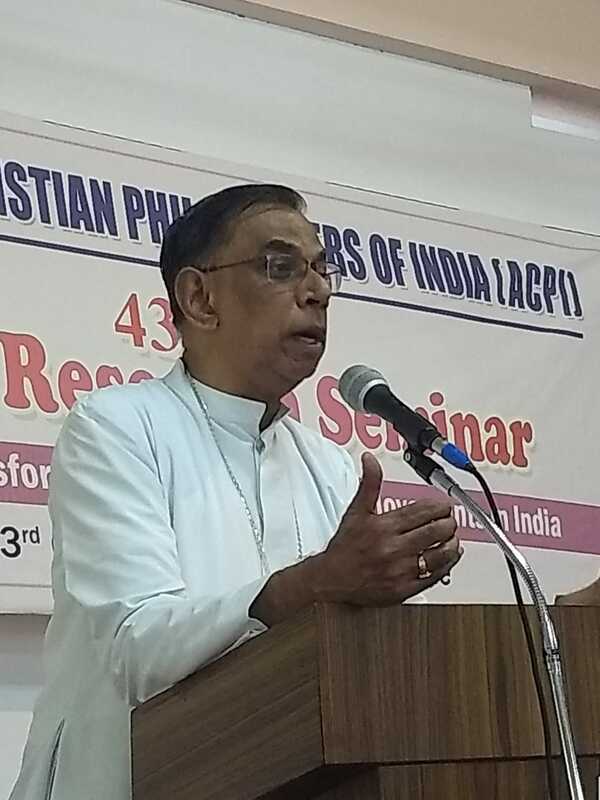 “Crisis of Faith, Vocation and Mission: Indian Capuchin Response,” in The Changing Face of the Church and the Society: A Franciscan Reading and Response. Bengaluru: Omega Book World, 2018. 127-143. “Issue of Corruption and Restoring Transparency,” in The Changing Face of the Church and the Society: A Franciscan Reading and Response. Bengaluru: Omega Book World, 2018. 249-267. “The Dynamics of Change and Franciscans as Catalyst of Change,” in The Changing Face of the Church and the Society: A Franciscan Reading and Response. Bengaluru: Omega Book World, 2018. 249-267. “Dialoguing with Religions: The Impact of Pope Fracis on ‘Inter-Cultural and Inter-Faith Interactions,” in Pope Francis: His Impact on and Relevance for the Church and Society – Commemorating Five Years of His Papacy, ed. 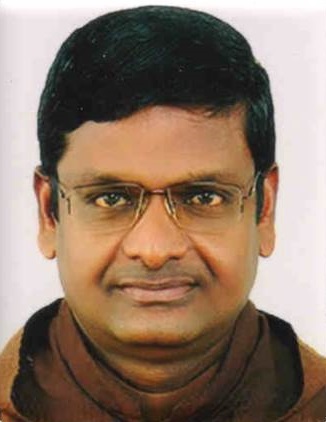 Kuruvilla Pandikattu, SJ (Pune: Jnana-Deepa Vidyapeeth, 2018), 153-164. “Dravidian Indigeneity: Recovery and Reclaiming,” in Exploring Indigenous Knowledge, ed., G.Lazar (Hyderabad: Sanskruti: Institute of Dravidian Culture & Research, 2018), 110-121. Satyanilayam, Vol.20, (October 2011), Book Review, Tradition and Innovation: Philosophical Rootedness and Openness, ed. Saju Chackalackal, Bangalore: ATC, 2011, 117-118. Satyanilayam, Vol. 20, Book review, Violence and Its Victims: A Challenge to Philosophizing in the Indian Context, ed. Ivo Coelho, ATC, 2010, 129-130. “Concept of the World in Saiva Siddhanta,” Indian Philosophical Congress, North Bengal University, Siluguri, 2005. “Spirit-Matter Continuum in Tolkapiyyam,’ Indian Council of Philosophical Research National Seminar on ‘Reunderstanding Indian Philosophy and Heritage,’ Department of Philosophy, Vivekananda College, Chennai, Mar, 2005. “Tamil Cultural and Linguistic Identity: Role of Dravidian Movements” National Seminar on ‘Culture, Language and Social Identities,’ Department of Philosophy, University of Madras, 2006. “Why And How of Indigenous Philosophizing: Insights from Tolkappiyam,” National Consultation of Philosophers on ‘Indigenous Philosophizing,’ Dharmaram Vidya Kshektram, Bangalore, June 2006. “Mono-Culturalism: Designs of Hindutva” Guest Lecture, Department of Philosophy, Arulanandar College, Karumatur, Madurai, Jan, 2008. “Emergence of Subaltern Consciousness: Contribution of Iyothee Thass,” in ICPR National Seminar on “Consciousness as Embodied and/or Contested Reality: An inquiry into the Indian and European Philosophical Traditions,” Madurai: Dept of Philosophy, Arul Anandar College, Madurai, 1-2 Sep, 2008. “Human-Nature Relationship in Siddha Philosophy,” in Second World Conference, Chennai: Satyabama University, 26-28 Dec, 2008. “Vision of Organic Whole: Process Thought and Siddha Cult” in 7th International Whitehead Conference, Bangalore: Christ University, 5-9 Jan, 2009. “Deconstructing Purusa Sukta: A Response” in Annual Seminar on “Deconstructing Indian Reality” Chennai: Dept of Philosophy, Loyola College, 6th March, 2009. “Ancient Indian Wisdom: Intellectual Roots in Tamil Tradition,” in National Seminar on “Philosophical Insights in Classical Tamil Tradition,” Kotagiri: St. Joseph’s Capuchin Philosophical College, 25-27March, 2009.